Fresh From The Earth Body Care > Why? 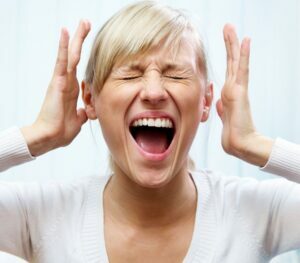 Do you ever have those times when you get so frustrated that you want to cover your ears and scream? Well, I do. One of those times comes whenever I see products out there that claim they are “natural”, but after having a peek at their ingredients, are far from it! Find out for yourself – read some labels. I bet that over 90% of the products you find have some form of preservatives, petroleum based mineral oils, artificial fragrances or colorings inside of them. Ever since I began my path to nutritional wellness, I’ve changed the foods that I eat and the substances that I put on my skin and its made a wonderful difference to my family and to myself. One day, I came across this one woman’s skin care line. She said her products did not have any preservatives, mineral oils, artificial fragrances or colorings. I bought some of her products and took them home to try out. The first thing I noticed was how dense the cream was. As the owner had mentioned “A little goes a long way!” She was right! Perhaps the most amazing thing I noticed was how much better my skin and face felt. I even started to recommend the product to my clients with skin problems. This woman’s name was Theresia, and she became a good friend. One day she mentioned she no longer had the time to run the business and was looking for someone to purchase it, I jumped on the opportunity immediately! I knew that it would fit into my life and line of work perfectly. It would have been a shame if the products were no longer available after all of the hard work she put into developing them. All the ingredients used come from organic or wild crafted sourced ingredients; local where possible. We do not add any preservatives, mineral oils, artificial fragrances or colorings to any of our products. We only use low heat, so as to not damage the quality of our ingredients. We only make ‘small’ batches in order to keep the product fresh. We use only violet glass bottles that are thick, durable and, most importantly, they do not let in light. Click here to find out more. We only use surgical steel cookware that is so dense that studies support that up to 93% of foods essential vitamins and minerals are retained. This cookware also reduces the amount of ‘heavy metals’ that have the potential to leach into the final product! We focus on using fewer and simpler ingredients so that there is less risk of your body reacting to it. We offer a money-back guarantee that you do not have to worry about. It’s for the life of the product! Everything is securely packaged and sealed so that it arrives in your mailbox without breaking. And there you have it! We take pride in serving our customers, and if there is one thing I can’t stand it’s a disgruntled customer. We will do everything to correct whatever a customer is unhappy with.